"A mother and daughter move to a new town and find themselves living next door to a house where a young girl murdered her parents. When the daughter befriends the surviving son, she learns the story is far from over." According to the IMDb and Wikipedia, "House at the End of the Street" is rated PG-13. I know what you're thinking because I'm thinking it too, but, having seen the trailer (above), it actually looks quite promising. Hopefully, this movie will push the limits of the PG-13 rather than be something made for that rating and its target audience. Having one of the stars of "The Hunger Games", Jennifer Lawrence, in it might doom it to failure, but there's always the possibility that it could be good. 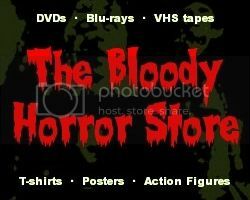 There really have been some scary PG-13 rated horror movies before, you know. I haven't seen Elisabeth Shue (who plays Jennifer Lawrence's mother) in anything that I've completely enjoyed since "Link" (1986) so this may be one of her last chances to redeem herself. Although she was okay in "Hollow Man" (2000) and "Piranha 3D" (2010), the latter made me feel sad for her that she was in what was essentially a Summer comedy rather than something more memorable. I don't know anything about Max Thieriot because I've never seen or heard of him before. I looked him up, but I refuse to watch the universally hated "My Soul to Take" (2010) to find out if he can actually act in a horror movie. I don't think that would be fair on anyone. If "House at the End of the Street" turns out to be yet another trendy teenage horror full of pretties and devoid of plot then it might just be the end of horror movies completely for a lot of us. Rumour has it that it's more of a thriller than a horror anyway so the makers have already covered themselves by suggesting that this will not be a formulaic slasher. Anyway, there's a little while to go before we can find out what it's like. 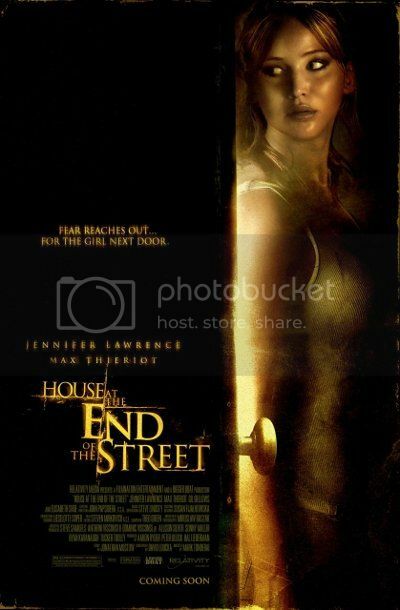 "House at the End of the Street" is scheduled to be released on September 21st, 2012.